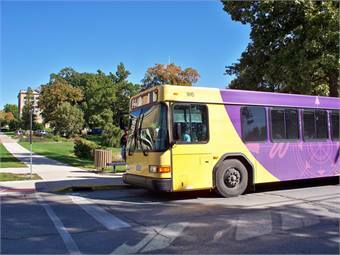 Ensuring that drivers have the necessary knowledge and skill to get students to and from class safely and efficiently is a top priority for university and college transit systems. We checked in with operators to get an update on changes they are implementing to their driver training programs. “The first major change we have made is bringing all of our training in-house. All of our driving and behind-the-wheel training was consulted out before. Through this process we have been able to save over $500 per trainee. Not only have we saved money, but through the process of the drivers' supervisor — myself — facilitating training we have seen better results in their driving after the completion of training and performing better on their exams. Another major change we made when bringing the training in-house was to implement four hours of classroom instruction on how to handle larger vehicles. I am working to make this longer for our next round. 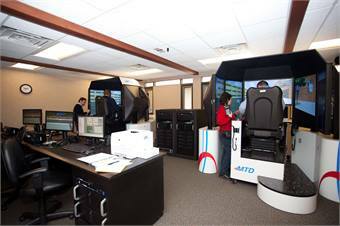 To include the classroom aspect, I attended a week-long training by the Transportation Safety Institute. This training has prepared me well to be an instructor and provided me with the materials (slideshow, instructor manuals, participant manuals and tests) necessary to teach how to safely operate and handle our vehicles. The other major change I have made recently includes a discussion about distracted driving. Before, we would talk about driving distracted and mention it was against company policy to use a cellphone, text, change the radio, etc., while the vehicle is in motion and we have it as a part of their employment agreement. However, what has been implemented is an actual discussion about the dangers of driving distracted and the three different types of distractions that drivers encounter (manual, cognitive, visual). We talk about why it is so important to stay focused on the road due to the fact that they have the potential to affect a large number of lives since they are transporting a large number of individuals on their bus.